In the must watch 1st video we've embedded directly below from Verizon (ANP: they blocked their comments on YouTube! 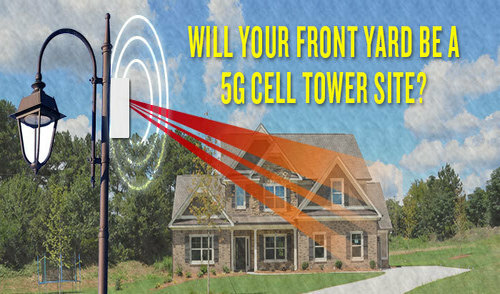 ), we see why the breakout of 5G this year in America and all across the entire planet is being met by many warnings about the negative health effects of what some have correctly called '5G killing fields' and their 'blanketing' of entire cities. As Natural News reported within this May 22nd story, scientists recently warned that 5G tech found in WiFi street lamps in the UK is causing insomnia, nosebleeds and still births within pregnant women and while authorities there claim people must ignore these 'conspiracy theories' about the alleged dangers of 5G, a member of the group IEEE, “the world’s largest technical professional organization dedicated to advancing technology for the benefit of humanity", warns we're already witnessing a humanitarian crisis. As the Telegraph reports in a May 18th story, new studies have proven that electromagnetic radiation from power lines, wif-fi, phone masts and broadcast transmitters ALREADY 'posed a credible threat to wildlife' and experts warn the rollout of 5G will only increase those dangers. Yet since we have proof that electromagnetic radiation poses a threat to animals upon our planet, have we forgotten humans, too, fall into that category? 5G is a disaster about to unfold. As PC Mag reports in this May 23rd story, Verizon's new commercial shows Verizon 'going the 5G distance', with 5G 'doing tricks' such as bending around corners, going through heavy steel and concrete blocks and actually traveling more than a half a mile, quite literally 'blanketing' anything within its path within invisible poisons as we see in this video. So, if it can travel through concrete and steel, what is it doing to human bodies? Much more below this very telling video. Though the science on EMF radiation is still far from established, many researchers believe that it does indeed have the potential to cause harm. EMF radiation is the same kind of radiation produced by cell phones, though it can be emitted from other devices — including LED streetlights, according to Professor Ulrich Warnke, from the University of Saarland. Warnke believes that EMF radiation “causes disruption to the body’s nitrogen monoxide system, which keeps cells healthy and controls gene expression,” but he’s not the only one. Multiple health agencies have sounded the alarm on the potential dangers of this kind of radiation — but few are listening. Back in 2011, the World Health Organization (WHO) warned that EMF radiation was “possibly carcinogenic to humans,” and in particular, posed a risk for glioma — a malignant type of brain cancer. At the end of 2017, the California Department of Public Health (CDPH) issued a similar warning regarding cellphones and their potential link to brain cancer. The European Academy for Environmental Medicine has also declared that EMF radiation is linked to cancer and other conditions like insomnia. The evidence against EMF radiation is piling up — and yet, city officials are refusing to recognize that people are at risk. 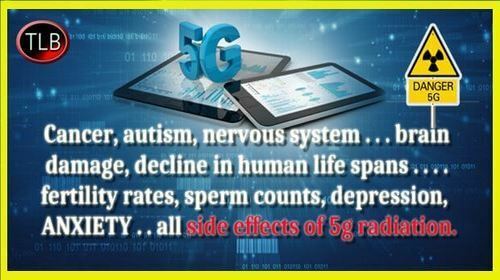 The 5G revolution is rushing toward us and it will bring a whole new era of harm from ultra-high microwave frequency radiation. And those who raise their voices against the danger to our health and our human rights to safety have been the subject of harassment, intimidation and attempts to silence them. 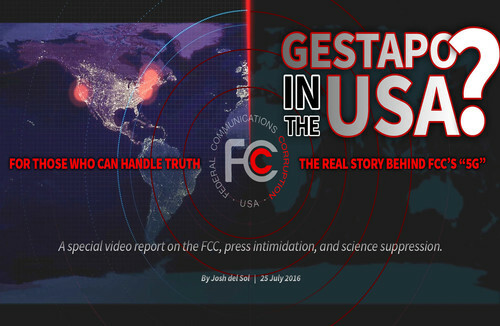 Gestapo tactics are being used to silence criticism of 5G technology At the July 14th, 2016 press conference, Bloomberg News reporter Todd Shields had his press credentials confiscated by members of the FCC security force. His offense? He was in the act of speaking with safety advocates concerned about radiation, who wanted to show him a tee shirt symbolizing their concerns. Remember – things that the government once tested and considered “safe” include such toxic horrors as thalilomide, smoking, asbestos, lead paint, and Agent Orange. Can we really trust these so-called government ‘health’ agencies? Consider this: A $25m government study by the National Toxicology Program has concluded that wireless radiation causes cancer. Natural health advocates say that 70 percent of non-industry studies assess wireless radiation as harmful; with industry studies, the effects are reversed – with only 32 percent showing that wireless radiation is harmful. But, either way, the dangers are clear and being ignored by our government due to corporate interests. With 5G expected to be rolled out across the entire nation over the next 2 years, as Activist Post reported in this May 6th story, despite the fact that there are well known health risks from electromagnetic radiation, its being rolled out anyways. People all over the world have been trying to stop 4G and 5G small cell tower infrastructure from being installed in their communities. Some small towers have already been up for the last few years. Many residents don’t recognize them as cell towers. Some are “stealth” or hidden inside other objects like light posts, crosses, fake trees, etc. Decades of research has already proven that we can be harmed by exposure to ALL SOURCES of cell phone and wireless WiFi radiation and from exposure to Electrical Pollution (Electrosmog). In 2010, experts determined that up to 1/3 of us are “Sensitive” to sources of this and 3% are “HyperSensitive.” Because there are so many symptoms, misdiagnosis is common. If people want to use 5G or other WiFi routers in their homes, there seems to be no way to stop them. If employers want to install them in their businesses, maybe they’ll remove them when enough employees get sick or their businesses gets hacked. Verizon has said that it will launch pre-standards 5G in three to five cities this year, including Sacramento, California. Initially, the leading U.S. carrier will only offer “fixed 5G” — high-speed wireless service that can solely be accessed at a home or office using a cable modem-like device — which it believes will challenge cable Internet and TV providers. The company described itself last week as “full steam ahead” on the 5G deployment, hinting at plans to offer unlimited 5G data and a novel over-the-top video subscription service to customers. With apparently nothing to stop the rolling out of 5G across the nation, we point out this 2016 story over at the LA Times titled "Is 5G technology dangerous? Early data shows a slight increase of tumors in male rats exposed to cellphone radiation" within which they confirmed many of the dangers being warned of and while their story neglected to mention anything at all about the globalists depopulation agenda, we've got to ask if 5G is part of that satanic plan. Let’s not also forget that in 2011 the World Health Organization (WHO) classified radio frequency radiation as a possible 2B carcinogen. Yet despite all of those potential dangers and more, the rollout of 5G continues unabated with the forthcoming 'internet of things' relying upon 5G to control all of our emerging 'gadgets', including artificial intelligence. Is 5G part of the 'globalists satanic agenda' as we hear in the final video below from the Fullerton Informer? 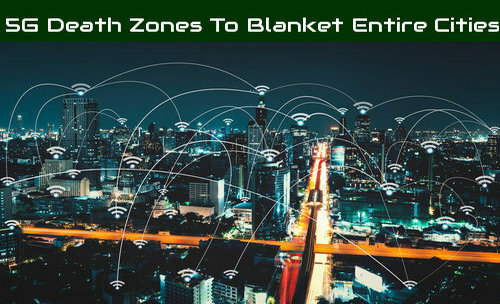 With 5G being rolled out to cities and towns across America, blanketing huge areas with invisible but deadly radiation, 5G death zones are sure to follow. NOTE TO READERS: With digital media revenue spiraling downward, especially hitting those in Independent Media, where attacks from every direction continue to come unabated, it has become apparent that traditional advertising simply isn't going to fully cover the costs and expenses for many smaller independent websites.